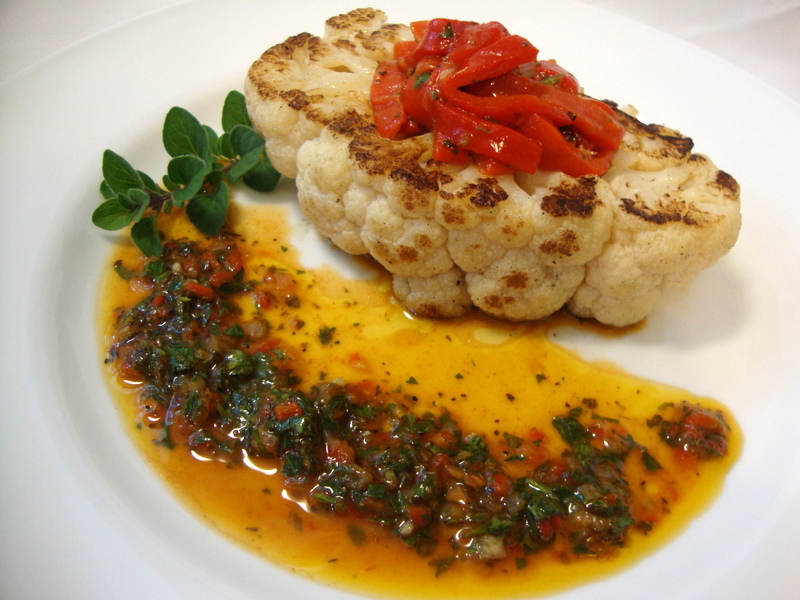 Chimichurri is an aromatic herb sauce that originated in Argentina and is traditionally used for grilled meat. In vegan gastronomy, it can be used as a sauce for grilled seitan, tofu, tempeh, portabella mushrooms or cauliflower “steak”. It’s also wonderful as a dip for crusty bread or for marinating cooked beans. Process all ingredients in a food processor but leave little bit of texture. Add salt as needed to taste. Store the sauce in an airtight container in the refrigerator until ready to use; shake well to re-emulsify before using.